Este é um produto Schwarzkopf que se coloca com o cabelo húmido ou seco depois de lavado e que não necessita de se passar por água depois de aplicar. A marca refere que o produto desembaraça o cabelo rapidamente, protege as suas pontas e suaviza a superfície do mesmo para até menos 85% de pontas espigadas. This is a Schwarzkopf product to apply on wet or dry hair after washing it and doesn't need to rinse after the application. The brand indicates that the product untangles hair quickly, protects the its ends and smoothes the surface of it for up to 85% less split ends. Para vos falar um pouco da minha experiência tenho a dizer-vos que não é assim tão espetacular quanto diz ser. É um produto que tem um cheiro ótimo que eu adoro - algo muito semelhante ao cheiro do pêssego - e que deixa o meu cabelo super brilhante e com aspeto bem tratado, no entanto, não desembaraça o cabelo (no meu caso até faz precisamente o contrário) e também não deixa a superfície capilar suave - é como se tivesse posto gel... Embora esteja brilhante e bonito acaba por ficar "àspero" e com os fios todos "colados" entre si (o que obriga a lavar o cabelo todos os dias e, consequentemente, a estragá-lo com tanta lavagem). A embalagem é de 200ml e gasta-se facilmente em duas semanas, se usado todos os dias. 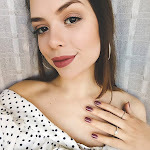 Esta avaliação deve-se ao facto de não ser um produto do qual possa usufruir sempre para manter o meu cabelo visivelmente bonito, pois ao ter que o lavar todos os dias, após as aplicações, acabo por estragá-lo. Como se gasta muito rapidamente, num mês acabaria por ter de comprar duas embalagens e por esse preço, provavelmente, compraria um produto de qualidade superior. Talvez em cabelos menos rebeldes ele resulte melhor. Em mim não resultou. To tell you about my experience I have to tell you that it is not as spectacular as it claims to be. It is a product that has a great smell that I love - something very similar to the smell of peach - and that leaves a super bright and well treated hair appearance, however, it doesn't untangle the hair (in my case it even does exactly the opposite) and also doesn't leave hair surface smooth - it is as if I had put hair gel... Although bright and beautiful it ends up being "coarse" with the hair and all "glued" together (which requires washing your hair every day and damaging it). It is a 200ml pack and it's easily worn in about two weeks if used every day. This rating is due to the fact that it is a product which I can't always use to keep my hair good appearance because when having to wash it every day, after the applications, I end up ruining it. As it is easily worn, in a month I would end up having to buy two packs and with that money I'd probably buy a better quality product. Perhaps in less unruly hair it works best. In me it has not resulted.